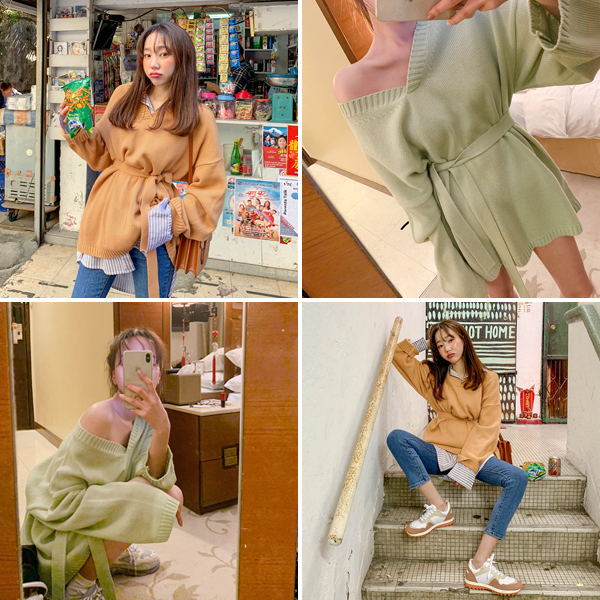 Korea Women Clothing Store Online, Women Apparel shopping mall, affordable women clothing Korea mall kongstyle event(가상) Sweet Juicy, Strap Knit ★ The best item in KONGSTYLE !! ★ Orders for Orange alone are sent the same day ★KONG-STYLE★ 2017 kongstyle 10th birthday Party ! !